Did you know that the foods you eat and drink can have an important impact on both your bladder and overall health? In fact, some foods can help prevent illnesses while others can cause disease. Try these easy steps to boost your bladder health. Staying hydrated is vital. Aim to drink at least two liters, about 64 ounces, of water daily. This rule holds true for most, unless they have a condition like a heart problem or are following their doctor’s advice. Drinking water throughout the day helps to dilute urine and prevent kidney stones. Too few fluids can cause highly concentrated, dark yellow urine that comes with a foul odor and irritates the bladder. That can cause you to use the bathroom more frequently and also affect your ability to control your urine. Not drinking enough water also causes dehydration, which encourages the growth of bacteria. This can cause a urinary tract infection or the formation of stones in the urinary tract. 2. Add lemon and lime. The citric acid in these fruits helps to prevent kidney stones and has added benefits for some patients who have had a surgery known as a “urinary diversion.” Natural lemon or lime juice can be added to water, used in salad dressings, or sprayed onto food for extra flavor, or made into homemade lemonade or limeade (without added sugar). Shoot for a half cup of lemon or lime juice every day. Focus on foods rich in healthy fats, like nuts, olive oil or organic canola oil, vegetable oil, avocados, and flaxseed. Certain fish, such as sablefish, salmon, trout, herring, and sardines are also good sources. Avoid fried, charred, or processed meats, as well as packaged and canned goods, bleached flours or rice, and sugar. Instead, stick to whole grain foods. 4. Extra Virgin Olive Oil (EVOO) every day. Use EVOO in your recipes, and aim for three tablespoons a day. This specific olive oil has been shown to help lower heart disease and cancer risk, decrease blood pressure, blood glucose and insulin levels, and reduce inflammation. 5. Fruits and vegetables are a must. Eat at least five servings of fruits and vegetables every day. It may sound like a lot, but one serving is equal to only a half cup. At each meal, try to fill at least two-thirds of your plate with vegetables, fruits, whole grains, or beans, and the other third with a protein like chicken or fish. Remember that one serving of fruit typically has twice the calories of a single vegetable serving, so try to eat more vegetables than fruit. 6. 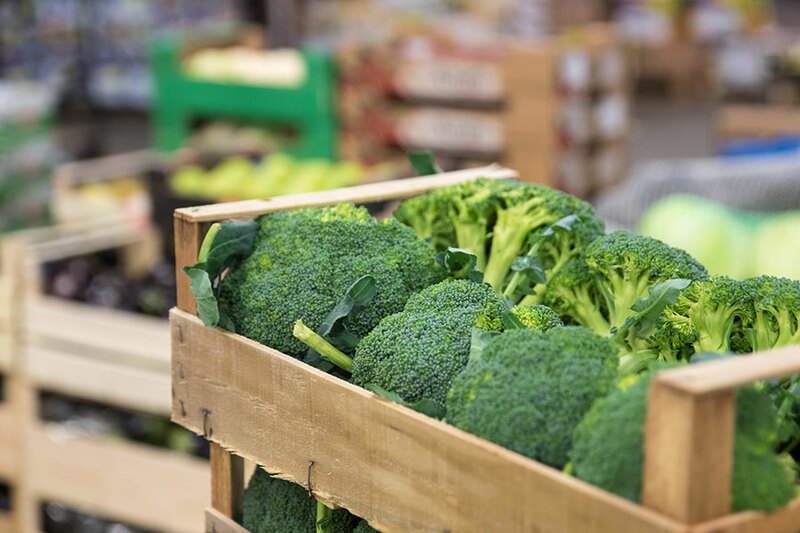 Add cruciferous vegetables to your diet. Certain foods and fluids can cause bladder irritation, which can cause an overactive bladder, leading to leakage and increased urgency and frequency. Avoid spicy foods, caffeinated and carbonated beverages, chocolate, tea, vinegar, orange juice, tomato-based foods, or alcoholic beverages. Try to cut these from your diet or dilute them with water to reduce the impact on your bladder. Quit using tobacco, which is a bladder irritant, and the leading cause of bladder cancer and other conditions. A nutritious and a healthy diet is vital to a healthy bladder as well as your overall health! For more information, visit the Minimally Invasive Urology Institute website or contact the team at The Miriam Hospital. Dr. Dragan Golijanin is a urologist and a director of the Minimally Invasive Urology Institute and director of Genitourinary Oncology at The Miriam Hospital. His areas of expertise include prostate cancer, kidney cancer, bladder cancer and testicular cancer.